It’s not right. Infants are being taken from their mothers. Families are being separated, and parents charged as criminals for sheltering children from violence. These courageous parents are doing the right thing. They’re protecting their children the only way they can: by taking them out of harm’s way, and seeking refuge – they hope – from the persecutions they face in Mexico and Central America. And they’re following the law: when they reach the border, they’re voluntarily asking agents to consider their requests for asylum. The U.S., like every civilized nation, is required to do this by international law. But since Attorney General Jeff Sessions announced his “zero tolerance” policy against immigrants, hundreds of children – some only months old – are being snatched up. 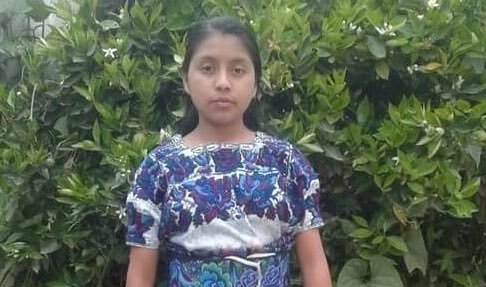 The unluckiest – like Patricia Gomez Gonzalez, a twenty-year-old from Guatemala – are shot dead by border patrol. Parents are given no explanation or guarantee they’ll ever see their children again. And parents have good reason to fear that they won’t – federal agents have already lost track of 1,500 children they’ve taken into custody. Too bad, says Sessions – he’s just following the letter of the law. But he’s lying. There’s no law that says families should be separated at the border, or anywhere else. This is part of a campaign to intimidate, threaten and turn away immigrants from our borders. It strikes at the heart of who we say we are as a nation – is the United States, as many of us are taught, a nation of refuge, the land of the free and the home of the brave? Or are we a nation of fear? As a mom, and the daughter of immigrants, I know in my bones this is not right. That’s why I’m standing up with Wisconsin Citizen Action, the National Domestic Workers Alliance, the ACLU, MomsRising and many others on June 1 to demand an end to this cruel and inhumane treatment. Join us on the steps of the USCIS office in Milwaukee at noon, or at one of the hundreds of other locations across the country where we will gather in protest. I live far from the southern border, in Milwaukee, Wisconsin – but the chilling effect of Sessions and Trump’s racist war on immigrants has reached us here. Wisconsin is America’s Dairyland: we provide nutritious, affordable milk to children from coast to coast. Milking cows is backbreaking, dawn-to-dusk work – and many of dairy farms’ hardest workers are undocumented. Some call them “migrants,” but many of these workers put down roots and stay at the same farms year after year, revitalizing our rural communities. Now ICE is raiding these farms, and arresting workers. And in places like Waukesha County, where they can’t get local police to cooperate, they deputize sheriffs to do their dirty work. And Wisconsin farmers are getting upset – because they, and the whole nation, rely on these honest, hardworking migrants to milk their cows. They can’t find American citizens to do these jobs. And the “lucky” ones who aren’t arrested? They’re now working ten to fifteen hours a day. Farms are closing, and the price of milk is rising. I myself am the daughter of immigrants. We came to Wisconsin from my native Paraguay when I was sixteen, to seek a better life. I went to college, then graduate school at Marquette, Milwaukee’s Jesuit University, and I now teach economics at the college level. I also help organize the growing Latinx community across our state for Citizen Action of Wisconsin. I know from experience that Wisconsin, and the United States, have a better heart than its current leaders. Don’t let them win. In our hearts, we all know this cruel treatment of children and families is wrong. After all, so many of us – even Donald Trump and Jeff Sessions – come from families that were immigrants once, too. So join us June 1 to put an end to this inhumanity, now. Because we all deserve better.